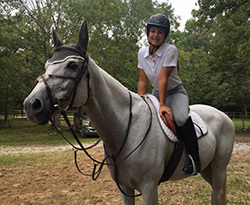 Covington High School Equestrian Team seeks to promote and support equestrian athletes by recognizing students who actively compete in equestrian activities. 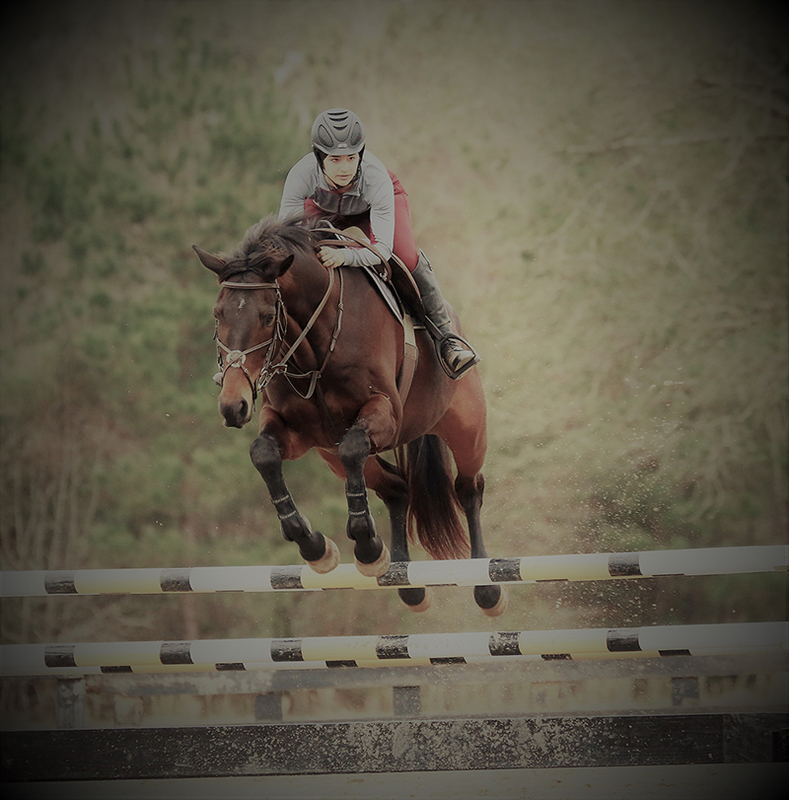 Our goals are to recognize the rider and horse as an athletic team and to promote the equestrian as a valid member of a recognized sport. CHS Equestrian team members must meet the following requirements & adhere to the standards set by Covington High School. 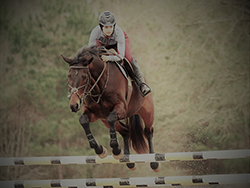 Though it is not required, students should be a current member of an established equestrian affiliated organization. A copy of your current membership card should be submitted when joining the team. Examples: USEF, USDF, NBHA, AQHA, LHJA, 4-H, FFA, etc. To qualify for a varsity letter, students must maintain a current riding log; this log must show a minimum of one hundred (100) hours in the saddle, and the log must be signed by your parent/s or trainer. Logs should recorded between June 1 and May 31of the current calendar year. 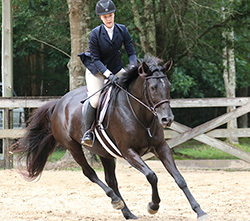 Athletic letters are awarded based on student participation in the club, volunteer work, and the number of shows /events in which the student rides. To be eligible for a letter jacket, the student must have: 1) either lettered twice in the same sport (would take two years), or 2) must have lettered in two different sports (could take as little as one year). Additionally, students are required to volunteer four (4) hours of their time in a horse – related or school –related capacity (4-H, FFA, Relay for life, helping another team member at a show, etc). 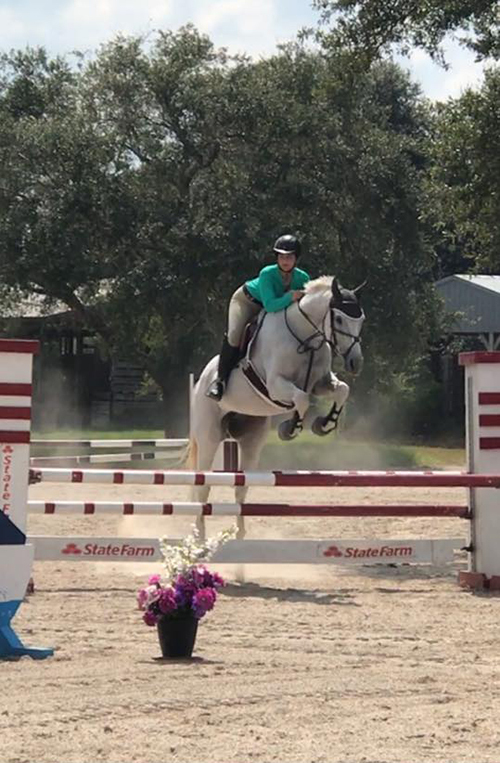 CHS team members are required to compete at a minimum of five (5) schooling or local shows, OR USEF- recognized shows within the calendar year of June 1- May 31. 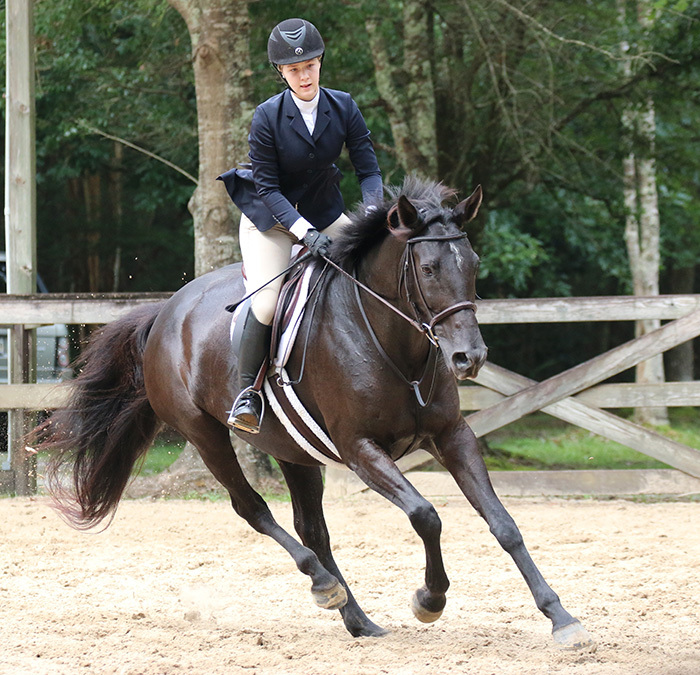 Summer 4-H/FFA horse shows count towards the next school year’s competitions. Team members must submit a copy of show results/proof of entry with the event name, date, & results. The name of the rider & horse should be on the show results or receipt. If a receipt is not available, a singed letter from the show secretary with a contact number will be accepted. Dressage riders need a copy of the dressage test performed with the show name, date and judge’s signature present. CHS team members must maintain a GPA of 1.5 or greater. Students are encouraged to keep copies of your report card with your show results and logs, and students must show signed documentation by a knowledgeable adult of the student’s completion of four (4) hours of volunteer hours. The CHS equestrian team will meet once a month. Members are expected to attend meeting on a regular basis. Lettering may or may not be affected by lack of attendance and lack of participation. It is recommended that each rider independently seek regular instruction. Covington High School will NOT provide instruction for riders. 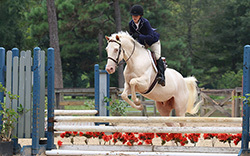 Covington High School is not responsible or liable for the safety of riders and/or their horses during competitions. All riders are encouraged to wear ASTM/SEI certified safety helmets when mounted. 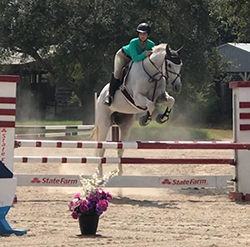 Insurance for the youth rider MUST be provided by the riders’ parents/guardian, and written proof (with complete information) MUST be submitted to the coach and high school. Equine insurance is optional. CHS will not provide transportation of equines to horse shows/events. CHS does not allow students to drive themselves or other students to horse shows/events; a parent or coach/trainer of proper age must be responsible for the transportation of equines. 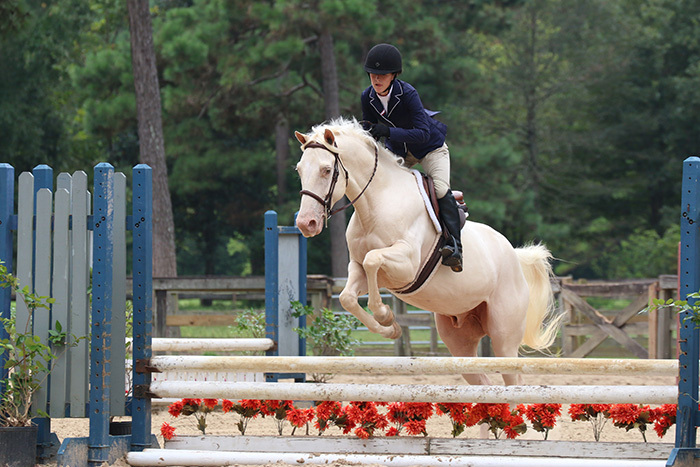 The CHS equestrian team will recognize major disciplines of equestrian competition: ENGLISH, WESTERN, & OTHER. *Dressage note: Team members wishing to earn recognition from the USDF (United States Dressage Federation) must meet all standard requirements: the rider must be a member of the USDF/GMO and maintain a score of 60% or higher at two schooling or recognized shows within the school year. 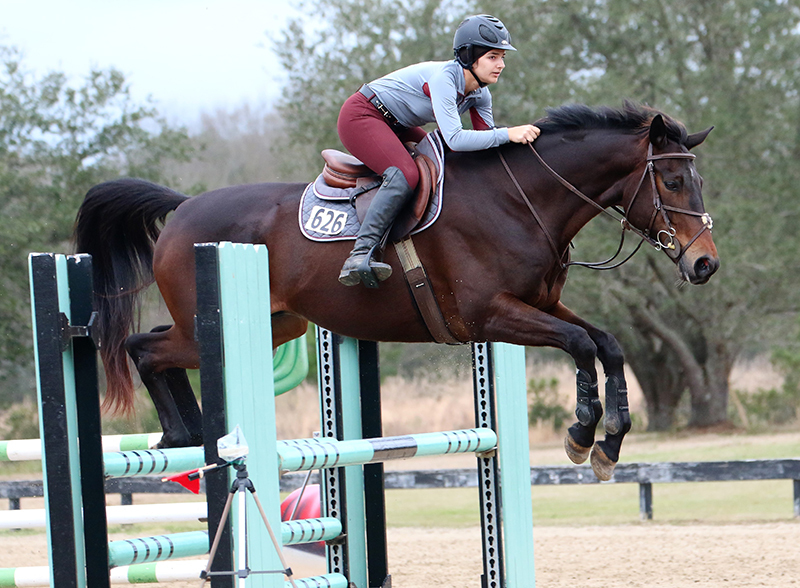 Scores should not be obtained more than one level below the highest level at which the rider is currently riding. Eligibility starts at training level, and dressage judges should have a minimum of “L” graduate status in order for scores to count. 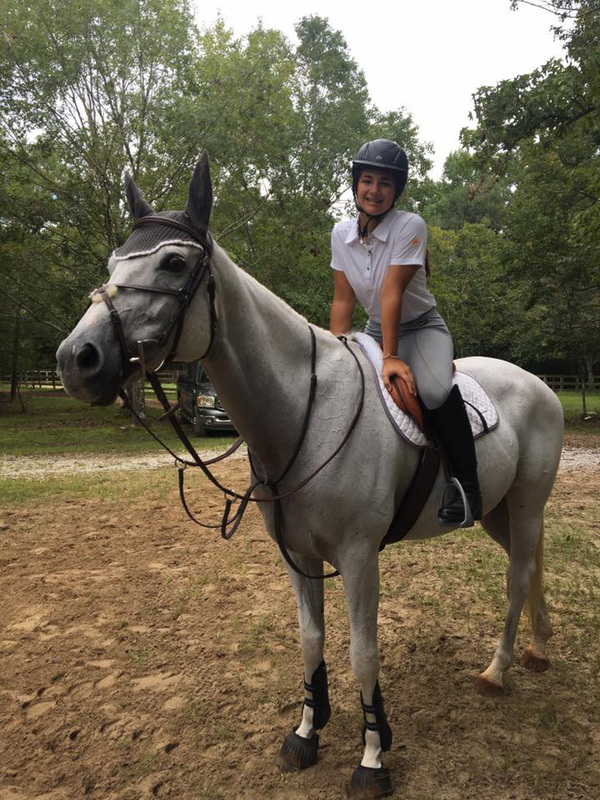 Corryn, a sophomore, competed this weekend at Serenity Farm, Folsom La. Ginger Black Valentine's Day show. Corryn was a heavy contender in the 1.0 meter jumper's earning a 1st, 3rd and two 2nd's. Congratulations Corryn and Zydeco on a job well done!